Whatever you want to track, Quuppa brings you the dot on the map. The Quuppa Intelligent Locating System™ is a powerful technology platform for novel Location Based Services and Applications. With its unique Angle-of-Arrival (AoA) method and positioning algorithms, the system enables real-time tracking of Bluetooth® Low Energy (BLE) Tags and devices, with accuracy down to a few centimeters. The Quuppa Intelligent Locating System is a reliable, versatile, highly customizable, fully scalable and cost efficient RTLS solution for all industries. Through our worldwide Partner Ecosystem, Quuppa systems have been successfully applied across various use-cases – from Manufacturing, Logistics and Security to Healthcare, Smart Buildings, Retail, and Sports. What do You want to track? Contact us to find out how You can Do More With Location. Quuppa enables positioning accuracy down to 10 cm, provides real-time location updates even for the fastest moving objects, and is reliable also in the most challenging environments. Quuppa can track both smartphones and tags – whether you need pinpoint positioning, proximity, or just presence detection – and offers connectivity for IoT sensors at the same time. Low-cost, long-lasting tags, ease of deployment, care-free operation, and active remote monitoring, all contributing to the lowest total cost of ownership in the industry. Choose from dozens of tag options or design your own. Run the OS independent software locally or in the cloud, and integrate through standard, open API. Find Partners from the global Ecosystem. 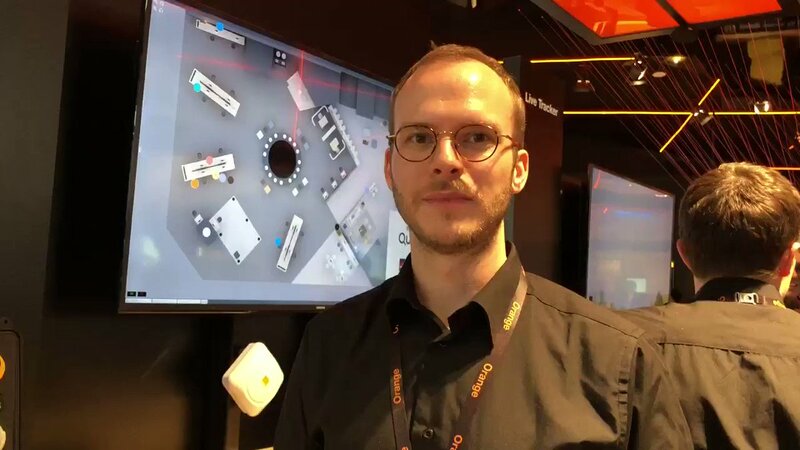 this Orange tag from @QuuppaTech with Nordic inside uses indoor #geolocation, this solution can monitor tools, equipment and assets, but can also be used in hospitals, museums and many more areas.